Am I the only latecomer to this particular party? 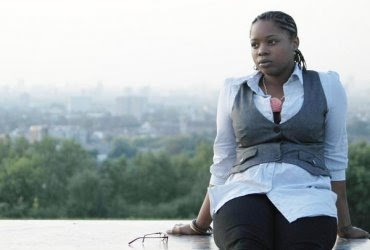 A couple of days ago I had never heard of south London lyricist Speech Debelle, before reading Matilda's brilliantly written feature article in the Independent (well done girlie) as well as Malcolm Mackenzie's profile in this evening's edition of The London Paper. I've just checked out a couple of her tracks and all I can say is hmmm, interesting. Her style and vocal delivery is going to be a bit of a grower methinks (squeaky voice juxtaposed against sombre subject matters = a confused me), but she seems like a really engaging character so I am willing to be patient. Plus, she doesn't look or sound like any other emcee around right now, which warrants a multitude of gold stars for that alone. See below and judge for yourselves. Awww, bless ya for the plug lol - well, she's definitely different from anyone out there at the mo - her album is a bit sombre, melancholy, but that's always been my sort of thing. She's quite the coup for Big Dada, and with all the media attention, she just needs to land a few telly spots (Jools, for instance) to get the Mercury folks snooping around too.